Publisher: Facepalm Games. Developer: Curve Studios. Released: August 2014. Genre: Puzzle; 2D Platformer. Other versions: PC; PS4; PS3; XONE; WIIU. There are moments during The Swapper when you could be forgiven mistaking it for a Dead Space companion piece. This might seem an odd comparison off-the-cuff; one is a visceral, action-packed shooter, the other a cerebral, 2D platform-puzzler, whilst the two are otherwise unrelated in terms of their respective creators and the universes they occupy. But there’s no denying, the comparison bears a certain weight when you consider them in visual and atmospheric terms. 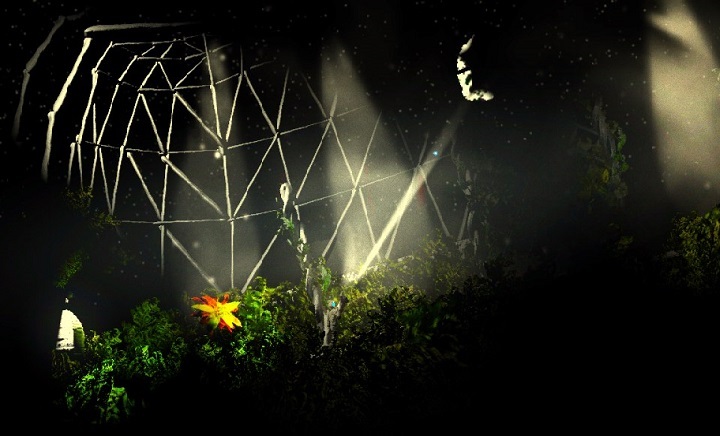 They share a sense of creeping madness evoked by the remoteness of deep space, as well as assuming an oddly primitive, cavernous quality that’s in stark relief to the technology-heavy space ships and stations around which they are set. There’s only one similarity that really matters though: they’re both extremely good. 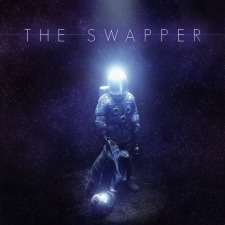 Set aboard the eerily quiet Theseus research station, The Swapper looks superlative. Remarkably, its futuristic locales were first realised in clay form, before being digitally rendered, and the effect is incredibly impressive. The station manages, even amidst ample sleek, high-tech machines and tidy, well-organised rooms, to look entirely desolate. Dust billows lazily through your flashlight beam, giving an appreciable sense of abandonment. Mournful lighting, where even garish pinks and reds are somehow made to appear sombre, proves particularly powerful and manages to imbue in the player, without ever drawing on survival horror parlour tricks, a palpable feeling of detachment. This is highly unusual amongst puzzlers, and it’s a sensation that’s maintained with surety. Clever sound design carries with it a similar appreciation for small details. Every noise is accompanied by a crisp echo, every landing is met with a definitive thunk. It’s a hammerbeat reminder “this place is vast, and you’re on your own”. At least, that’s what you’re willing to believe, until the occasional radio transmission starts being directed your way. It filters through in a manner that’s both clear and yet somehow distant. Can you really trust what you’re hearing? The premise itself is creative too. Your unnamed space marine may be kitted out to look rather like Isaac Clarke, but you’re goals and methods are somewhat different. Armed with a single, controversial wonder-device known as the “swapper”, the player is able to project as many as four clones into the environment at any one time and, provided they’re within line of sight, can then “swap” and assume control of their body. Once they’ve been placed, they will mirror your every move – even if it means plunging to an ignominious, lemming-like death. Never fear however, as the death of one means you can instantly conjure up another to take their place. Indeed, there are times when it seems such sacrifice is the only way forward. 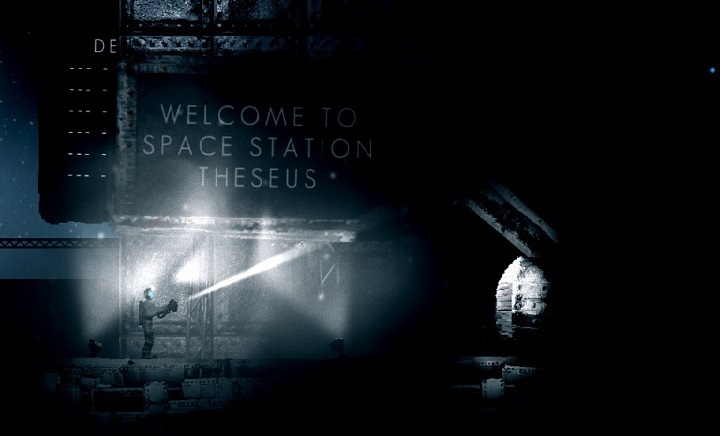 It’s perhaps rather fitting the station is named after Theseus, as you’ll jump between and discard so many versions of your character, you do begin to wonder just how much of them is left stalking the corridors. Anyhow, this marvellous tool makes accessing hard-to-reach ledges a doddle, whilst each area acts as a mini-hub, housing a small handful of puzzle rooms, whereby your goal is simply to have the player-controlled version of the central character in a position to collect some (usually craftily-placed) orbs. Predictably, this creates many opportunities for melon-twisting conundrums. Once you’ve learned the basics, the game taxes you with figuring utilising buttons and pressure pads, gravity wells and gravity reversals, as well as the simple though heartbreakingly-problematic blue and red lights; one preventing you from creating clones within the light, the other blocking the ability to “swap” between them. Stepping out for a bit of fresh...er, space. Absolutely ideal for budding boyband tribute acts. Matching outfits as well! ​It’s perhaps not quite the revolution that Portal’s gun was, but the concept works really well. 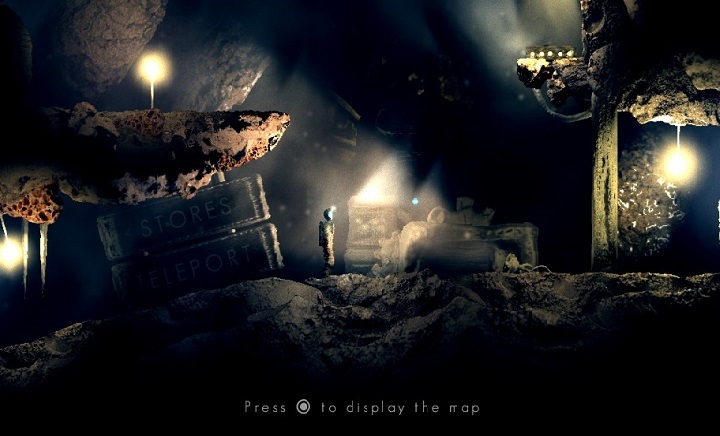 There are a couple of satanically difficult puzzles, granted, but by and large The Swapper manages to keep things within the achievable boundaries of us mere mortals. There’s plenty to give players pause for thought, and sometimes it’s best to plot a sequence working backwards from the endpoint. There’s an ever-present, tantalising feeling that the solution to a teaser must be one simple, maddening step away. This is how the best puzzle games draw you in of course, and there’s always a pleasant sense of satisfaction as the penny drops and you’re able to make progress. The story, a quest for identity and the lengths a species will go to survive, is much more than you’d expect in a genre where you’d be forgiven for thinking such narrative ponderings were mere filler. Moreover, it’s remarkable how effectively it uses its environments and effects to make such musings resonate with the gamer. 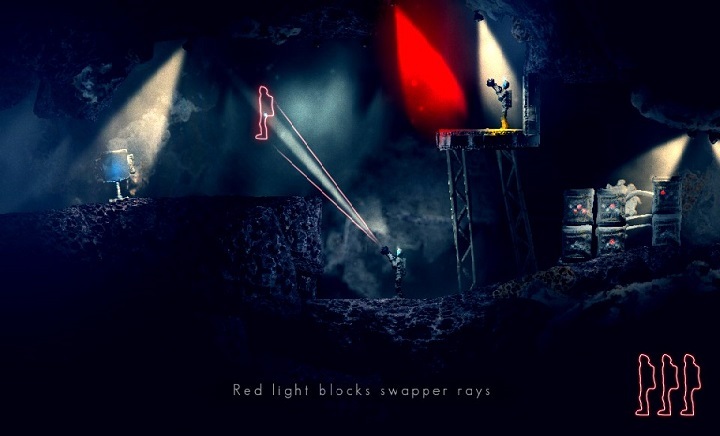 There are longer adventures out there, but whilst many lose impetus, The Swapper prioritises quality over quantity, offering a tight selection of well-designed levels. 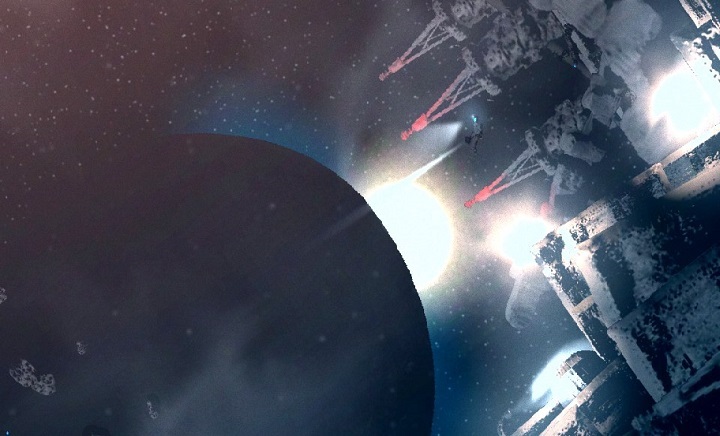 A couple of space walks, a small smattering of new environmental effects, and the unpredictable narrative serve to galvanise your efforts to reach the end credits. Sadly, unpredictable (and unfathomable) trophy allocations serve to scupper its replay value. The Swapper has just ten trophies, and rather bizarrely, they aren’t linked in any way to performance or progression through the game, or for watching the two thought-provoking endings. Instead, they’re all awarded for locating the ten hidden monitors, eight or nine of which you’d realistically never find during an unaided playthrough. Still, this is a minor blemish for an otherwise very accomplished puzzle game. 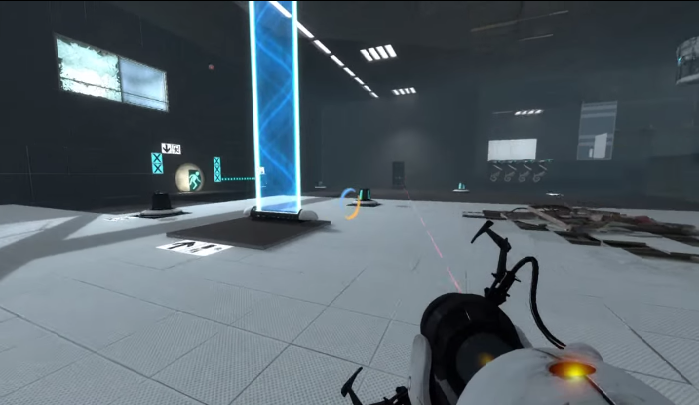 It doesn’t quite top Portal 2 for the sheer audacity of the experience, but there’s no denying, The Swapper runs with an innovative idea and makes good on it. Creative, clever and well put together, it’s another top indie title that works a treat on Vita.